Dr. Napolitano is a native of Brooklyn, NY who spent a large part of her childhood in Napoli, Italy. She is multilingual, speaking Spanish and Italian fluently, which benefits her in her professional life. 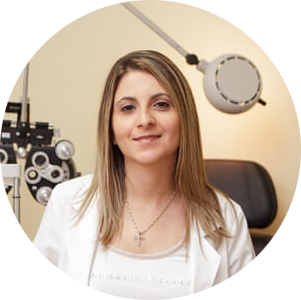 Dr. Napolitano earned her Bachelor of Science Degree at Queens College, NY and completed her Doctorate at SUNY State College of Optometry. Dr. Napolitano is passionate about giving back and improving optometric care, and this is clear in her activities outside of her practice. Her volunteer time includes community lecturing and free vision screenings for seniors and children in the community. Her goal is to raise awareness for sight-threatening conditions. Contact our office today, and schedule an appointment for your eye care needs!